Paint Spilling Art: Do you have a lot of half used paints or even sample paints. Art can be created from waste or even leftovers. We have included some spray painting videos for your inspiration. Artist Holtan Rower’s spray painting style was directed by Dave Kaufman. Before trying these spray painting techniques, keep the floor well covered with some sheet. After spraying one colour, wait for few minutes for the colour to set and then start with the next colour. It gives you amazing designs. Above video is directed by Dave Kaufman. Paint Spilling Art Video - The Paintings of Holtan Neel Paint Spilling Art: Do you have a lot of half used paints or even sample paints. Art can be created from waste or even leftovers. 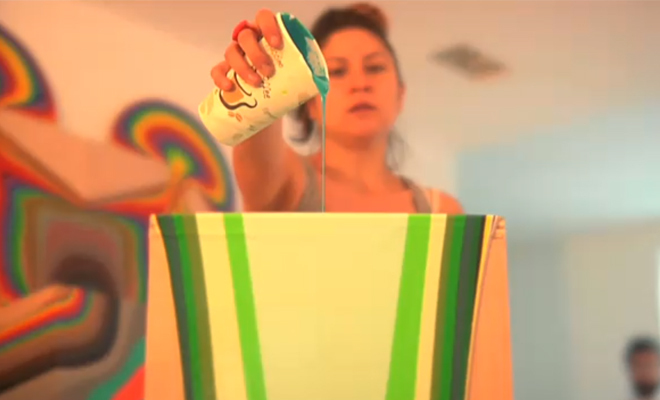 We have included some spray painting videos for your inspiration.